Zonos provided a great solution to create ease of sale and better experience for our international customers where we were only accepting bank wires as payment previously. This has sped up my quoting process as well as I am no longer manually calculating/ quoting shipments. I've provided feedback on this personally. Zonos needs adjusted so that you can pad the entire invoice total by a set value or percentage. Currently it only pads the shipping. The goal is the pad the order by a percentage that captures the fees per invoice so the service pays for itself. you pass the charges to the customer with this feature. My install was manually calibrated to achieve this, but having it as a user adjustable action just like padding the shipping is the single most important feedback I can provide. Try it. Simple as that. You will see the benefits in practical application. Fraud protection was our major concern with accepting international credit cards and this was the primary selling point for us. Zonos provided a great solution to create ease of sale and better experience for our international customers where we were only accepting bank wires as payment previously. This has sped up my quoting process as well as I am no longer manually calculating shipments. "Amazing product and teamwork with iGlobal"
It is great to let them know what are struggles are, and watch them come up with solutions to improve our business. Other companies we work with it feels like they are just working on a problem for us. With iGlobal there is teamwork and we work on things. Their knowledge and responsiveness to our questions has been a wonderful experience. Amazing admin console to view the actual checkout our customers are seeing. I am going on working with them for 8 months now, and can't even come up with a dislike. If you are looking at one of their products I recommend you go with them, as they will exceed your needs, not just meet your needs as similar of their competitors do. iGlobal does all the heavy lifting with an International shipping integration with UPS. iGlobal also handles our international checkout. They also provide re-directs for some of our international customers. We are also able to monitor all orders being processed through them. "Amazing Support & A great Solution"
It allows for easily charging duties and taxes to our international customer. We no longer have to worry about abandoned shipments. Also the customer support was spectacular and the iGlobal team was with us every step of the way. Even months after the implementation if I make a request they will usually respond within the hour to let us know they are working on our request or have a solution already. The integration was very difficult, but part of that was because of our Miva Merchant set up, which is not standard by any stretch. Also, there were some bugs in the system, but all of them were quickly rectified by the Igloabl team. I would recommend anyone looking to expand their international ecommerce operation to take a look at iGlobal and their product. It will make it that much easier to gain international customers and ship internationally. We utilize iGlobal stores to enhance the ecommerce experience for our international customers. Also, it allows us to quickly, easily, and accurately calculate duties and taxes and charge them to our customers. This removes the risk of abandoned shipments and makes it a cleaner transaction process. I love that my international customers are receiving rates that are accurate with no surprises. It truly saves me a lot of time and headache. I also love the customer service that Zonos provides us. I have nothing negative to say. I even like the new name better than the old one! Please give this product a try and save yourself time and headache. It can help grow your international business and also protect you from fraud. It is an amazing product! We are able to get our international customers an accurate landed cost in real time instead of manually quoting. This has increased our international sales by more than 30% and saved us a lot of time and missed business. The fraud protection is amazing too. "Exceptional Support | Brilliant Solution"
Travis has been totally on it from day 1. Handled every issue/request quicker than most companies take to respond to initial question. In the 2 years of using Zonos, we haven't had an issue yet that wasn't solved by implementing customized solutions per our business needs. All at no extra charge. Easily expand & convert your INTL checkout. Zonos eliminates all INTL drama. Calculates exact VAT, Shipping, Duties instantly, & provides seamless checkout. "Incredible app. Even better support!" Meets my needs perfectly. Needed a way to calculate duties taxes and customs and charge my customers for them at checkout, this did it perfectly. Allowed us to go GLOBAL. Michelle was EXCELLENT with customer support. Really enjoyed the entire process and continue to work with them on two sites! Bravo for all their hard work and assistance, they're truly a dedicated team. I have nothing bad to say about this app. They've been incredible since day one, from the install to launch and customer service throughout. iGlobal has been a fantastic partner that has given us the ability to reach more countries and control our own destiny in regards to service offerings and costs. We had other options out there, but they were all tied to a company that wanted to control our freight. With iGlobal we have the ability to pick and choose which carriers and services fit our customers' needs the best We also have a lot more negotiating power with the carriers which allows us to offer lower costs to our customers which improves customer satisfaction and increases overall sales. There really hasn't been a lot to dislike. If there ever is an issue the iGlobal support team has been extremely fast at resolving the problem. "Great Product, even better staff"
Their staff is amazing. Our support issues are handled quickly and they always help answer random questions I have. Our international ecommerce. We let iGlobal handle all our international cart processing and fraud protection. This has increased our international business more than 8% in the first year of using them. Allowing our customers to see the final cart amount with shipping and even duties/taxes in their currency. "Zonos creates significant value for us!" ShopUSA.com offers international shipping from USA to +150 countries. The international shipping process is a complicated one but Zonos helps to simplify the process. The needs of our international customers are extensive & we strive to offer as many a-la-carte services. Zonos has created a solution for us to offer our customers the opportunity to prepay duties & taxes. Using their accurate duty & tax calculator, we are able to speed up the customs process for our customers and provide an all-inclusive landing price without hidden fees. It has been a great relationship over the past few years and we look forward to creating more synergies with Zonos in the near future. Thanks for all that you do! We have found one important way to create synergies with Zonos but look forward to find other areas to improve our business. Great service and products! You won’t regret it. 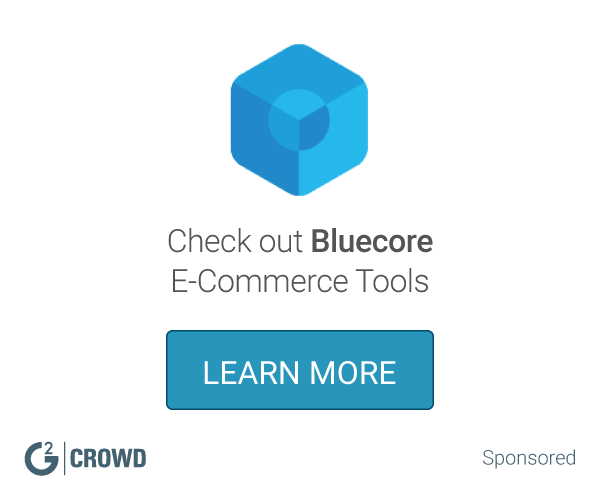 "Strongest Product I've seen in this space"
The checkout itself is best in class. They have created an easy and seamless flow for our customers. In addition, they have the option to take care of everything on the back end themselves (capture, order and fulfillment updates, etc). Their suite of products are very well thought through with the customer (end user) and client (business owner) in mind. They completely solved our problem of not having access to an international market for eCommerce. Their checkout is top notch (we even used it as the reference point for our platform when asking for a new out of the box checkout). They have brought us revenue, and we use their fraud protection, so they keep us safe too. The implementation was easy on their end, and the level of support we get from their team is absolutely outstanding. "iGlobal for our Shopify Store"
The iGlobal team was extremely helpful and there for us every step of the way in the set-up process. Having left it running for some time now we have experienced no issues and have seen improvements in the amount of international orders and inquiries there are. We paid for a minimum of 12 months, which means we are locked and committing for a year and will not be considering any alternatives anytime soon. That said, there are not many solutions such as iGlobal that integrate well with our UPS business account. If you are in need of a painless international shipping/duties solution for your business, iGlobal may be the right fit for you especially if you already ship with UPS. We are alleviating the headaches of duties and taxes for international customers and ourselves, which caused several barriers to entry on the international marketplace prior. The Zonos desktop is very organized and easy to follow. Orders on our website checkout include the duties and taxes and complete cost to the customers door. There are a few bugs with our Magento integration, although overall, the platform works well. Charging the correct duties and taxes and shipping as well as fraud protection. We feel comfortable shipping international orders once Zonos has reviewed and released them to us. Our international orders continue to increase. Our customers that live internationally can finally order directly through the website and get the duties and taxes estimated automatically. The only thing I could say I am not the biggest fan of is that fact that the checkout looks so much different than our website. I wish we could customize the color scheme at least. Make it easier for your international customers to purchase with you! You will not regret it! We are able to confirm duties and taxes without worry of over or under charging the customers. The customer can now also choose if they would like to pay for them ahead of time or after delivery. We had multiple requests that Zonos customer service helped us with- they were always very attentive and responsive. A few glitches in the system, though it is constantly being updated. Good product- implements well into our website. 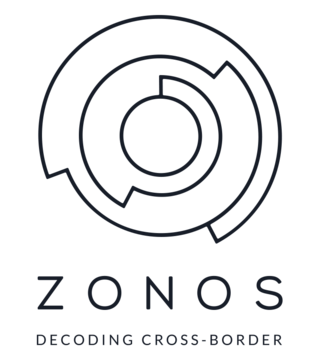 We use Zonos for shipping international orders- this prevents us from having to manually calculate shipping costs/ options for customers outside of the US. they make it simple to do business with international customers, and help with all aspects when setting it up. it could not be any easier, and we orders from all over the world. We would probably would not business with some of these countries, but with IGLOBAL taking the risk for us we are free to do more other sales than researching these. We have quite a few international customers with different tax and VAT. We don't have to worry about upset customers that complain about these taxes as they know about it at point of sale. I have nothing to dislike at all. The product works, backed by good customer support. Retain international customer satisfaction. They know up front what fees are incurred and can pay them at checkout. You have a guaranteed landing cost. International VAT and taxes, including the ability for the customer to see the page in their language. The ease of use and lack of effort to take advantage of the service. Our orders just show up and we process once approved. There is nothing I dislike. We see everything we need and rarely ever have to contact customer service, if ever. "Nice functionality for international shipping"
It has been beneficial to provide a localized shopping cart for our international customers. Shipping rates have been accurate for products as long as we have the correct product information to provide for quotes. A lot of issues we run into require updates, and new versions seem to come out pretty often. While nice to have items fixed, while this is one of many features on our website, doing an upgrade as often as new versions are released is not realistic for us. Orders have been similar volume as when we had to provide shipping quotes manually, but we have become more efficient and no longer have to interact with international customers to make sure they understand how we handle the taxes and duties. "Zonos is great for international checkout solutions!" Zonos is very attentive and works quickly as well. Any time we've ran into any issues with this system, they have resolved the issue within a day. Zonos orders have caused some minor inventory and order issues on our system, but I believe it is a little mixture of both Zonos and our eCommerce system, not just Zonos. Zonos allows us to offer checkout for non-US customers, and provides fraud screening services for these orders. "Easy to use, Top notch customer service"
Their customer service is super fast, always there to help. The plugin was easy to install and straightforward to the customers. Everything is perfect and fit ours and our customer's needs. An easier way for our international customers to buy and pay their duties up front with their local Credit card. "Excellent integration to gain international customers "
iGlobal stores work great on both of our sites which are on a Magneto platform. The integration appeared to be straightforward and was handled all by iGlobal. By using the integration we have alreasy noticed an increase in international sales. We have received feedback from our customers that they also like seeing the customs fees and that they are able to prepay them through the new checkout. I have no dislikes to speak of regarding this. We are reaching international customers that we were turning away before. iGlobal has been there every step of the way for us. They create every single custom rule that we need with no questions asked. Other companies have charged us a great deal just to do those same exact rules. I have not come across anything that iGlobal could not do for us. They have been a great partner. Just have a phone call with their support team to discuss anything that you might need and you will see how accommodating they can be. Our international shipping is incredibly custom. We have different rules set up for different countries because of the products that we sell. iGlobal has easily and quickly set up every one of those rules for us. This app provides clarity for our International customers. It makes them aware that duties & taxes are required and gives them the option to take care of it when placing their order. There isn't much to dislike about this app. Full transparency regarding duties & taxes. It also gives us the ability to provide a seamless shipping process once duties & taxes are paid. "The Tool for International Checkout"
Enables our international customers to get a fully delivered price up front, in their native currency. Currently only has API interface with UPS. Would like to see FEDEX and DHL API options. Effective tool to assist with the growth of our international business. Worry free sales to international customers. They handle all the risk with chargeback protection. Flexibility with Volusion platform although this is more a Volusion issue. Ability to make sales on a Global scale. Once in a great while, something that was fixed becomes "broken" again, but they fix things in a very speedy time frame. No issue goes unresolved. Go with iGlobal, no disappointments! My international orders come through already checked for fraud and already integrated into my ecommerce shopping platform in a concise format. I trust iGlobal and find it very effective and easy to use. Essentially they do all the "heavy-lifting" for me with international orders. "iGlobal has been an important partner in helping us build our international business.,"
Our account manager is very responsive whenever we have a question or issue with the site or an order. There isn't anything I would say that I dislike at the moment. They play an intregal part for us to be able to do international sales on our website, by collecting duties and taxes as well as shipping options. A shipping carrier agnostic solution where we handle the shipping without needing a consolidator. While the tools are extensive, they are still building-out reporting and other functionality. Our goal is to grow our international export business and their offerings are providing us the tools to do this thought localization, languages, landed cost calculations and currency exchange. I like that iGlobal exists. Before partnering with this company we were unable to ship outside the United States and now that we have partnered up with them we have increased our profit margin and customer base. I dislike having to refer customers to iGlobal for certain issues such as payments and refunds. The pricing to ship to international locations seems very high as well. This is a huge issue with our international customers. By partnering with iGlobal we were able to ship to our Canadian base customers and all over the world. We used to get emails and calls daily from international customers wanting to order from our company and we would have to turn them away. Now we can help them and send them the parts they are needing. The benefits are pretty simple. We have increased our profit margin and we get to help customers outside the US. "IGlobal Has Done A Great Job For SoccerPro"
Ease of installation. Clean and easy-to-use cart. Awesome customer service. Not much comes to mind. iGlobal has been one of the best 3rd party solutions we've ever integrated. Global demand for our product with reasonable pricing and expedited shipping options. "Great company to grow your international sales." iGlobal has helped our company grow ten fold and has made the whole process painless. Great customer support and account portal to track and process shipping with ease. We have yet to have an issue with iGlobal in the 4 years we have partnered with them. I would 100% recommend iGlobal to other ecommerce companys. iGlobal has streamline our international sales and taken away the fraud that goes with international orders completely away. "Zonos has proved a valuable asset to our company"
The customer service received by Travis Robinson is tremendous. Zonos has helped us procure new international orders without having to worry about credit card fraud. If your product isn't being purchased overseas, this will help increase your sales. Lack of International credit card orders. * We monitor all Zonos reviews to prevent fraudulent reviews and keep review quality high. We do not post reviews by company employees or direct competitors. Validated reviews require the user to submit a screenshot of the product containing their user ID, in order to verify a user is an actual user of the product. Hi there! Are you looking to implement a solution like Zonos?